Day by day, people are becoming more and more selfish. Therefore, man doubts that others too are selfish alike and may harm him. With this attitude, even if someone tells a good word, our suspicious nature makes us fearful to move ahead. Our elders observe that to Dharmaraja, a man of good conduct, everyone appeared good; whereas, to Dhuryodhana, a man of wicked character, everyone appeared selfish.We may not get a spiritual feeling when invited to join and sing hymns and psalms in a house. Instead, we criticize the event as a mere show. This tendency stands like a mountain between us and God. It would be of no use even if Baba appears in front and speaks something beneficial. If one's eyes are affected with jaundice, everything looks yellowish. Likewise, the one whose mind is blinded by selfishness, the world looks darker. The Merciful God gifted us with a good intellect to sense divinity along with humanitarian qualities. In fact, the human life is a great boon which can surmount any hurdle to reach the Abode of God. Even if God appears and declares, "This is My Abode, come, I will take you along", we turn a deaf ear to that great opportunity by mere stupidity. 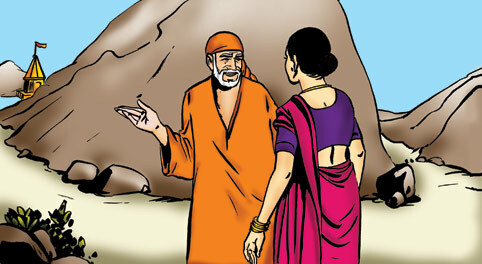 Baba used to caution, "I do not say ten times; ignoring or listening to My words is upto you". Let us abide by Baba's call to safely reach His Divine.